The first big festival of Fall is this Saturday in Carlsbad (well, maybe the ArtWalk Carlsbad on the 22nd and 23rd was first)!. 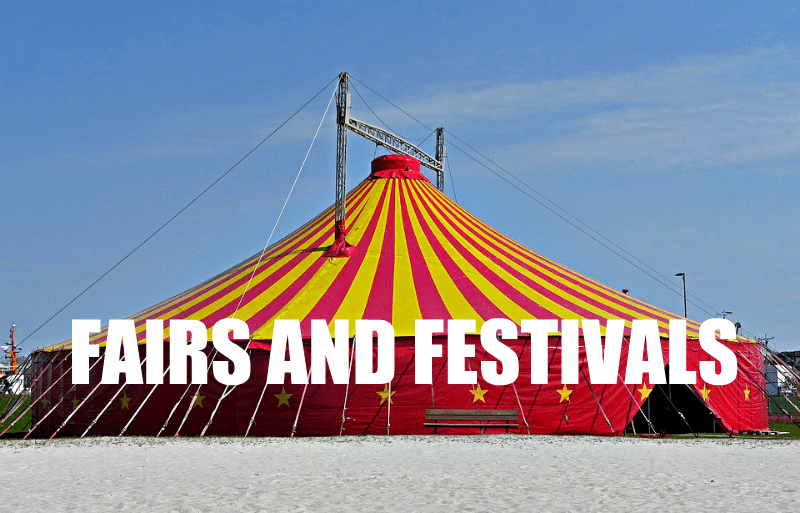 The 36th Annual Rotary Carlsbad Oktoberfest and Family Fall Festival will be held in beautiful Holiday Park, from 12 noon until 10 pm. 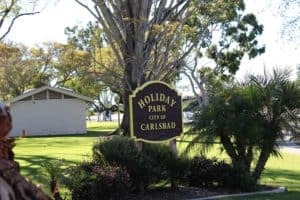 In case you are not familar with it, Holiday Park is located on Pio Pico, heading south from Carlsbad Village Drive (just east of the 5 freeway), between Pine and Chestnut. Check out this site map of the Carlsbad Oktoberfest so you don’t miss anything! If you are going, definitely please to arrive early if you can as parking in the residential community surrounding Holiday Park is limited. There is shuttle bus service from the SW corner of The Shoppes at Carlsbad (at El Camino Real and the 78). Shuttles run every 20 minutes, from 11:30 am until 10:30 pm. You can, of course, just walk if you are nearby, or ride your bike. As always Carlsbad Oktoberfest 2018 is sponsored by the Rotary Club of Carlsbad, along with a number of other sponsors including TBD That Boy Good, Markstein Beverage Company, and more. Funds raised by Oktoberfest always support different beneficiaries, and in 2018 will go to the Agua Hedionda Lagoon Foundation, and Solutions for Change, a local charity that is dedicated to working toward solving family homelessness. You’ll find the typical Oktoberfest fun and entertainment – German music and other bands, polka dancing, puppet shows, arts and crafts, games, rides, several costume and yodeling contests, and of course the classic German Oktoberfest dinner. You may also be interested in the Children’s ID event where you can receive fingerprinting and ID cards for your kids. Advance tickets at $15 (for 1 full meal and admission), plus other ticket options, can be purchased online at Eventbrite.